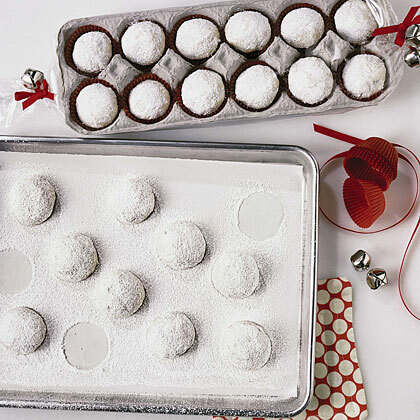 I love baking up cookies and treats to give as gifts and share with neighbors, especially during the holiday season. 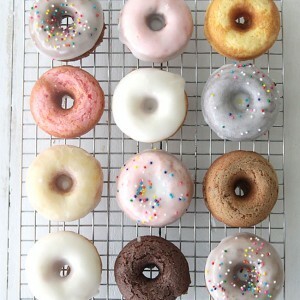 But I’m always looking for new, easy ways to package them up so they look as good as they taste (a plain old paper plate works just fine, but it’s not that cute, you know?). Plus, sometimes you don’t want to fill up an entire plate per person, so it’s nice to have options that make just one cookie, or even a few, look like a nice gift. 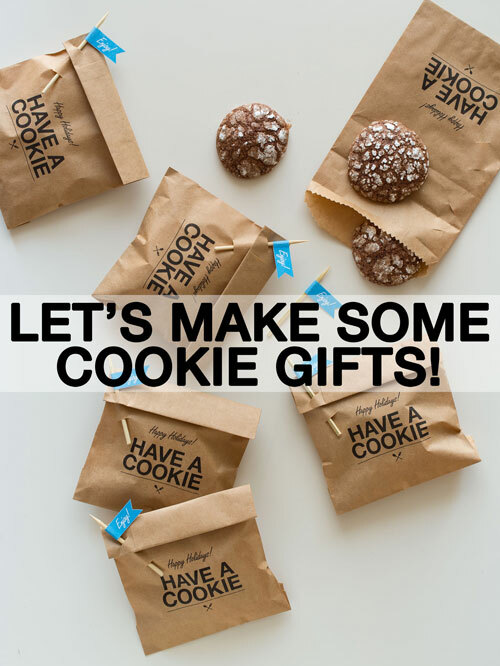 So I’ve rounded up the best DIY treat & cookie packaging ideas from the web, complete with tutorials. 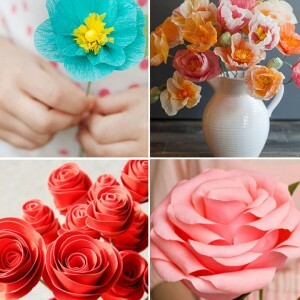 As with all roundups, you’re welcome to pin the collage photo to remember where to find all these ideas in one place, but if you’d like to pin an individual photo, please click through to the original post – thanks! 1. 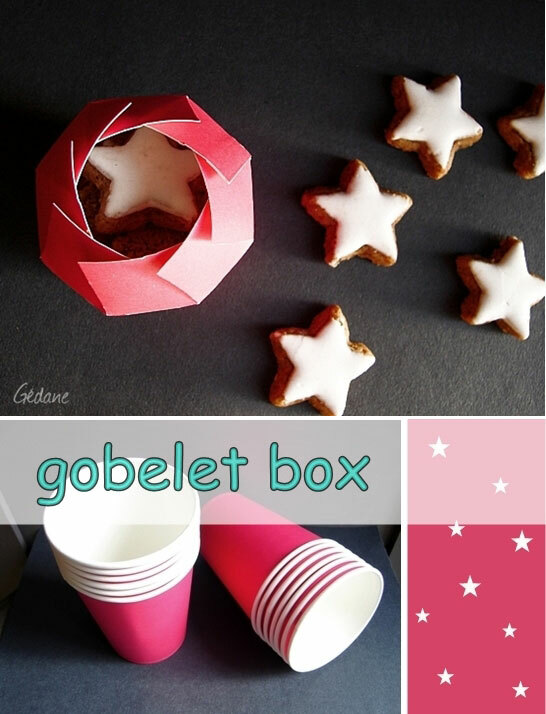 This adorable box make from a plain old paper cup is genius! The tutorial is not in English, but the step by step photos are easy enough to follow. From Happy DIY. 2. 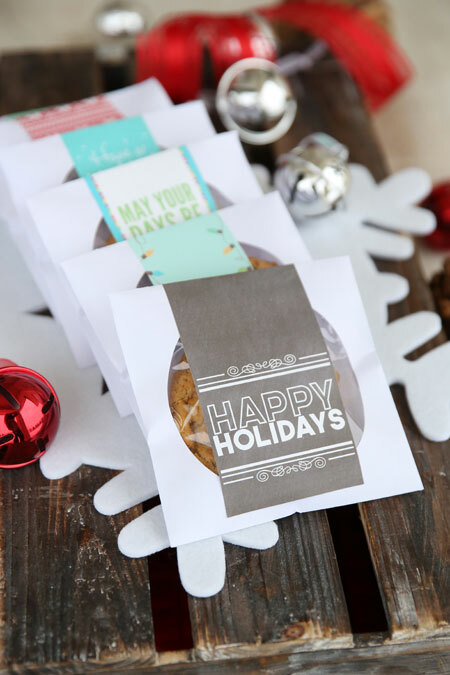 Make plain kraft bags adorable with this free cookie printable from Spoon Fork Bacon. 3. 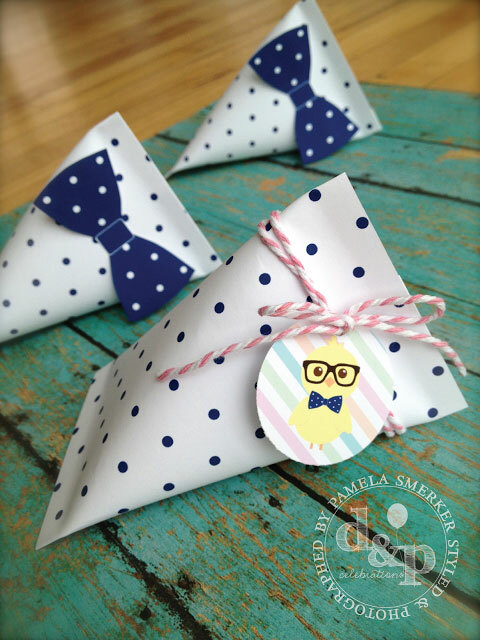 Lines Across shares an easy tutorial for no-sew muslin bags – these would be perfect for packaging up candies! 4. Another option for small treats are these simple sour cream containers – tutorial shared by D&P Celebrations. 5. 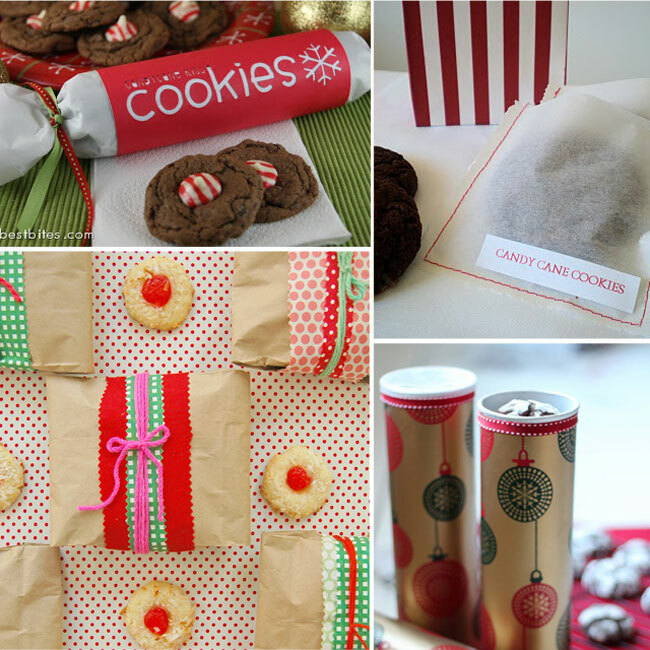 This tutorial from Purl Bee shows you how to use a brown lunch sack and your Christmas wrapping supplies to package up 8 cookies. 6. 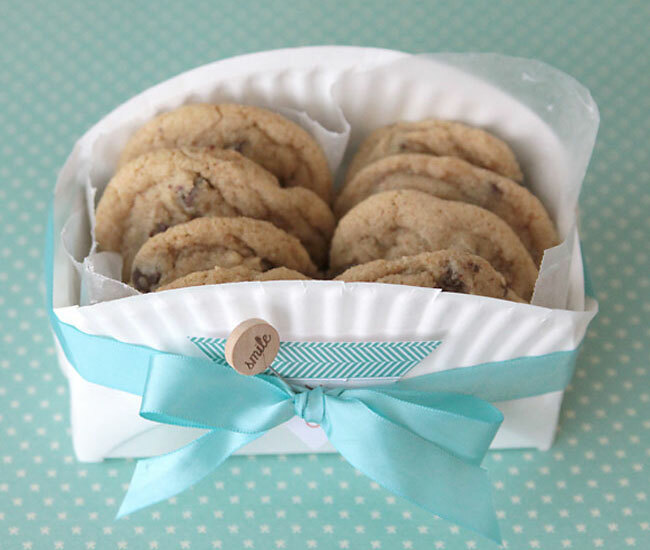 Another easy way to package up 6-8 cookies is this basket made from a paper plate. Find the muffin version here. 7. 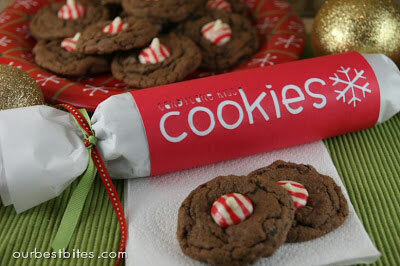 Instead of gifting cookies, try gifting cookie dough! 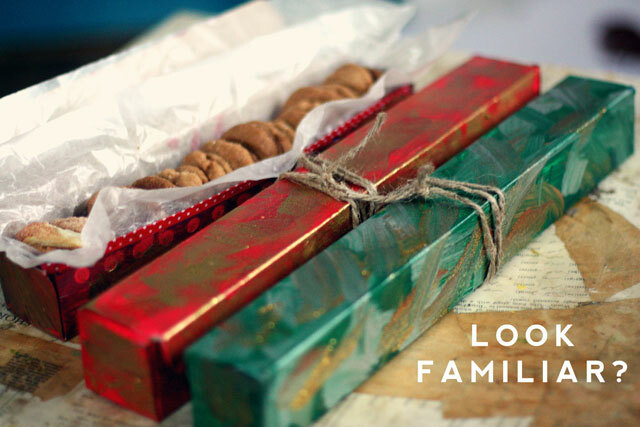 Our Best Bites shares a fun way to package cookie dough using waxed paper. 8. 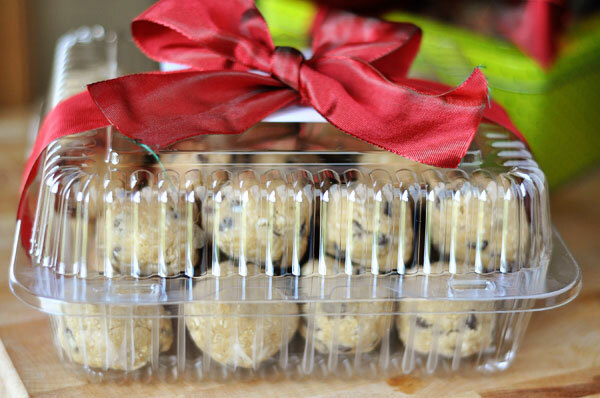 Layer pre-scooped cookie dough in containers from the deli counter, as seen in this photo from Mel’s Kitchen Cafe. Click through to the post for more info on getting the containers. 9. Ever wanted to share individual cupcakes but didn’t know how to package them so they wouldn’t get smooshed? This idea from SNAP Creativity is perfect! 10. 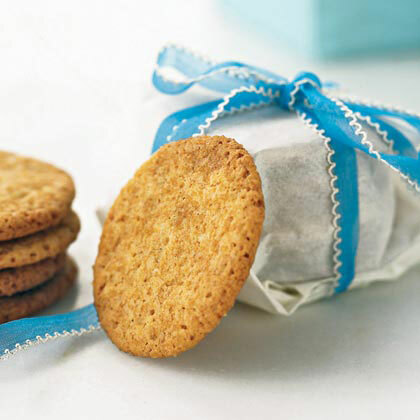 Simple wax paper bags are perfect for individual cookies or even slices of pound cake or chocolate pumpkin bread. Idea from A Spoonful of Sugar. 11. 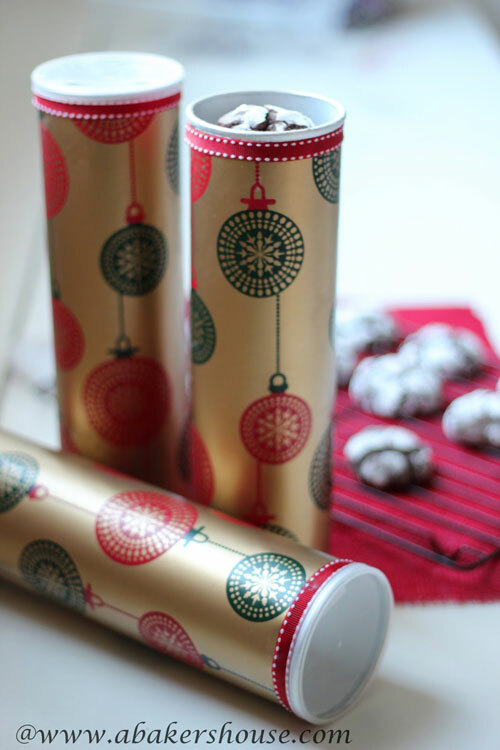 Check out this post to see how Aunt Peaches transformed aluminum foil boxes into the perfect cookie packages. 12. 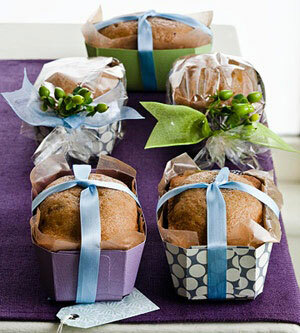 Slide mini cupcake liners into an egg carton for an easy recycled cookie tray. Idea from My Recipes. 13. 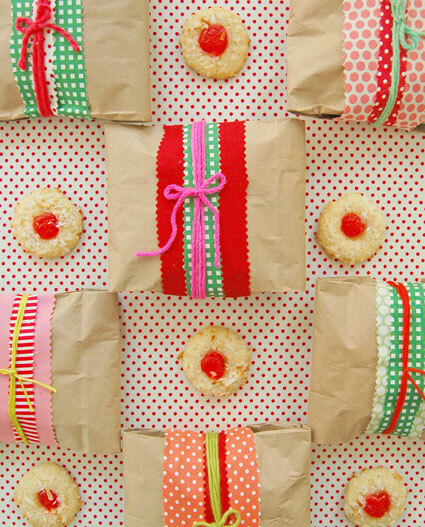 Go super simple by wrapping a stack of cookies in wax paper. Add a pretty ribbon to make it cute! 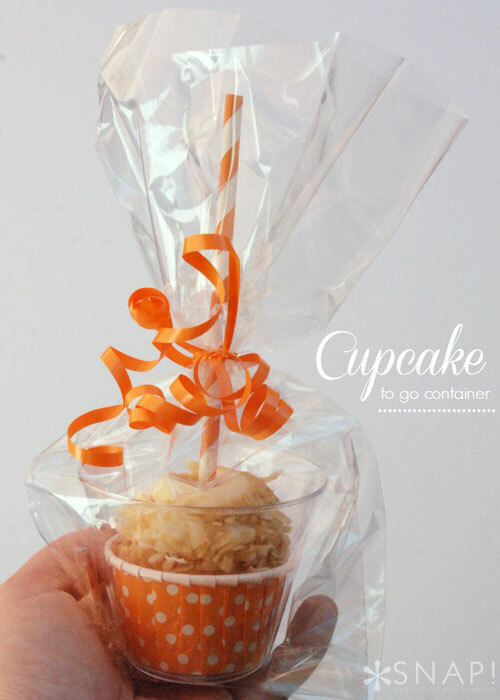 Also from My Recipes (click through for even more treat packaging ideas). 14. 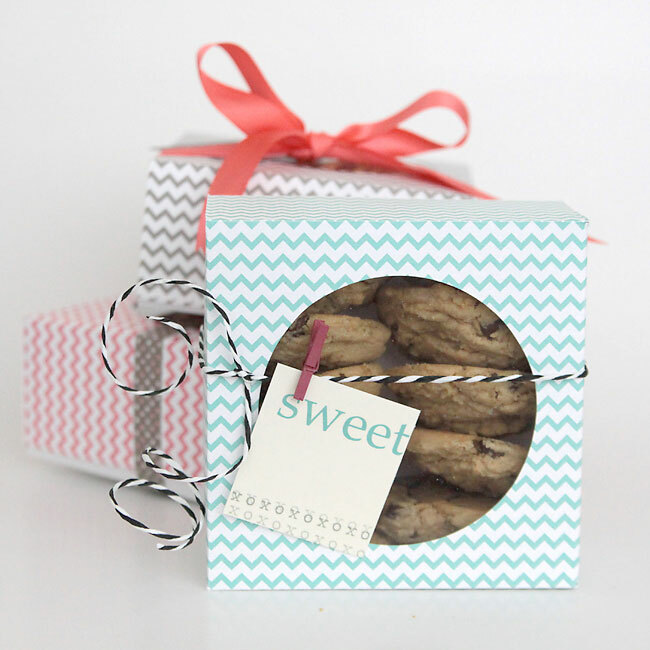 This box is easy to make from an 8.5×11 piece of card stock, and is perfect for cookies, brownies, or candy. Find the tutorial here. 15. Two words: Pringles cans. How awesome is that? Find the how to at A Baker’s House. 16. 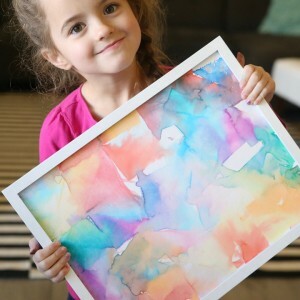 Have some spare 12×12 scrapbook paper sitting around? 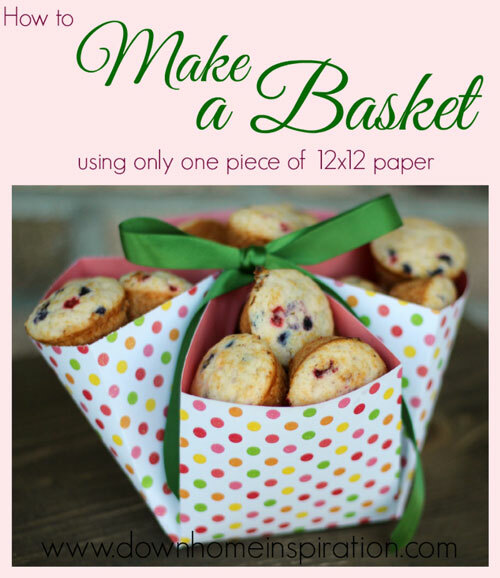 Use it to make a basket and stuff it with goodies! Tutorial from Down Home Inspiration. 17. 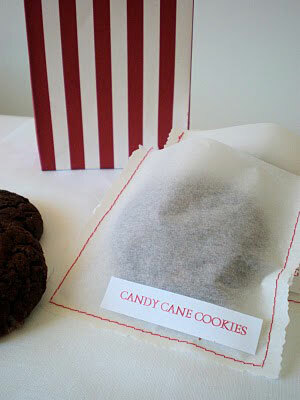 Order CD envelopes and fill them with one large cookie each. Idea from Our Best Bites. 18. Ice cream containers! 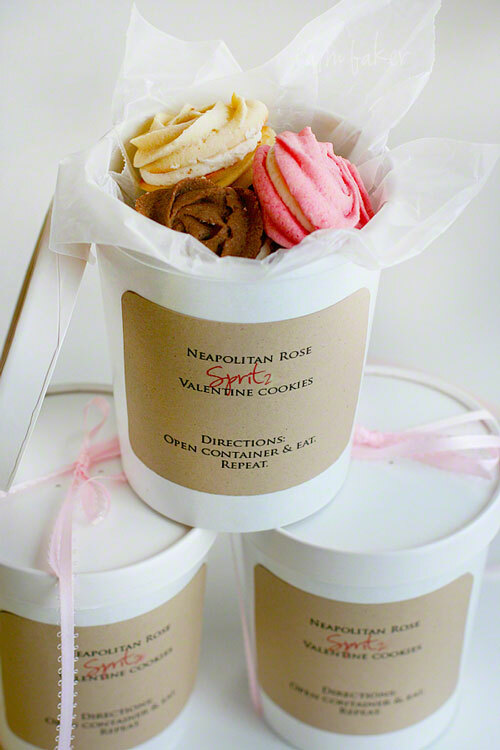 Don’t these make super cute cookie containers? 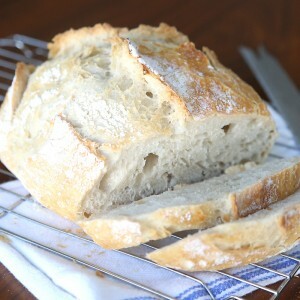 Photo by I Am Baker (click through for source on containers). 19. It can be hard to package up loaves of bread – but you can find a printable template for these mini loaf packages at Midwest Living. 20. 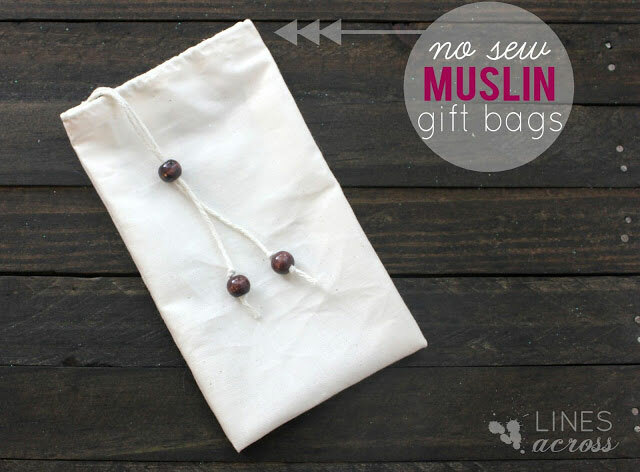 If you’re short on time, just use ziplock bags! 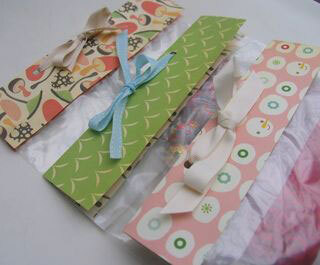 Top them with scrapbook paper and ribbon to make it look like a gift. Great idea from One Crafty Mumma. Remember, you can pin the collage below to remember where to find all these great ideas in one place. Thanks for including my Pringles can cookie container. I LOVE the ideas you shared! I can’t wait to try the aluminum foil container and the paper plate basket/box is fantastic. Really fun and do-able ideas. Thanks! I had so much fun looking on the french lady”s site who made the box from the paper cup. Her photos are beautiful.